A Bulgarian woman who was found dead in her rented flat in Bugibba yesterday had suffered 40 stab wounds, an autopsy held today showed. The police are still trying to track a Turkish man who used to share the flat, amid fears that he might have fled Malta. The decomposing body of Irena Abadzhieva, 38, was discovered yesterday afternoon after police received reports of a foul smell from neighbours. There were no signs of forced entry. The woman was found on a sofa covered with a bed sheet. She was wearing night clothes. 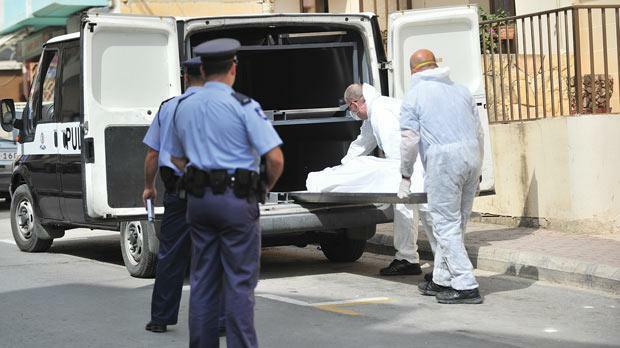 Assistant Commissioner Pierre Calleja told a press conference later that the body was covered with wounds and he could not immediately tell how many stab wounds had been inflicted. The woman was last seen on Sunday at around 5 p.m.
Ms Abadzhieva used to work as a cleaner in an establishment in St Julian’s and that she had rented the flat in November 2010. This was the second murder this year. On January 31, a 28-year-old Russian woman was found dead, suffocated in her Xemxija apartment.